Looking for plain wristbands? 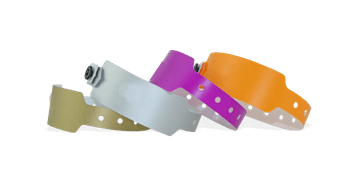 Plastic wristbands provide security and convenience for identifying your guests. They are durable but comfortable to wear, making them ideal for multi-day use and can easily be adapted for every event. Fast UK delivery starting from 24 hours!